This handcrafted bar stool is as functional as it is beautiful. While the bar stool provides a dramatic and spectacular visual impact, the circular top of this custom bar stool uses a minimum of space. You can maximize your seating space while also having a glorious bar stool. The seat is upholstered in rich embossed full grain leather and the side of the circular seat is upholstered in genuine cowhide. The upholstery is hand tacked with precision to the entire wood base by our skilled craftsmen. 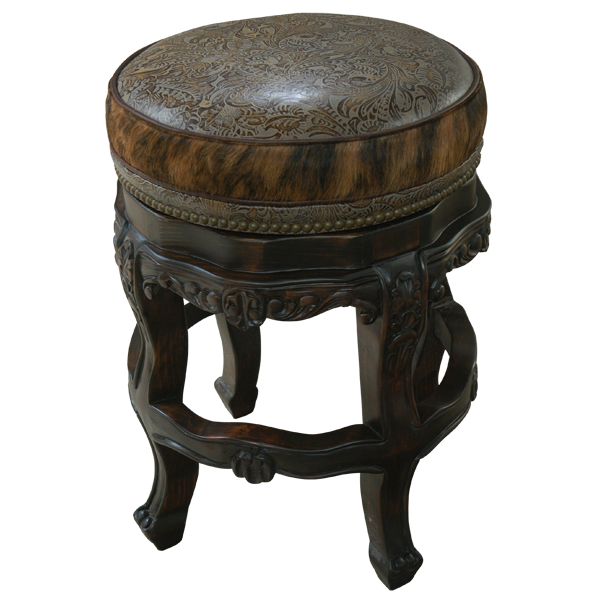 The base and the curved legs of the bar stool are ornately hand carved with elegant floral designs. 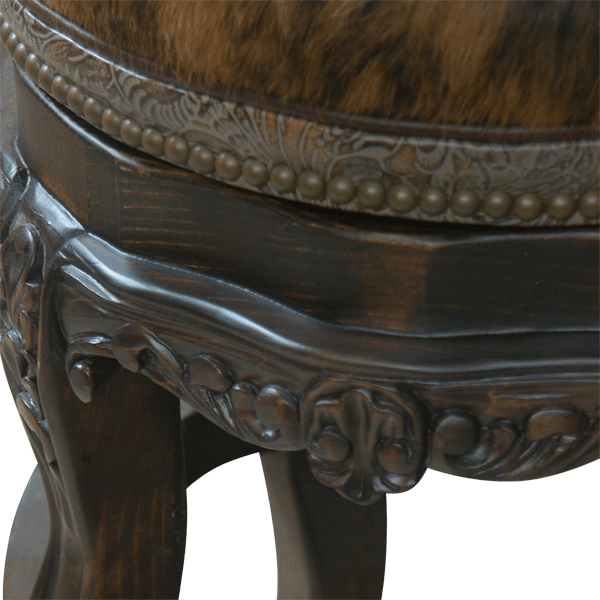 The legs are joined by elegantly hand carved decorative supports, and the feet are also hand carved. Both beautiful and durable, the bar stool is made with the best wood available. It swivels 360° and is 100% customizable.